We cordially invite all devotees, including Medical Professionals in our region, to participate in this wonderful service project, by signing up as volunteers, to serve the very needy families in the Corona-Norco area. 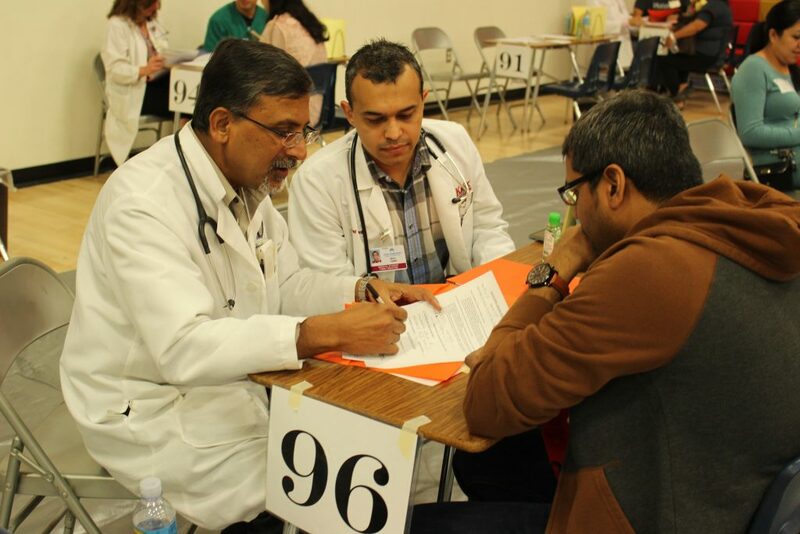 Medical, Dental, and Vision screening consultation will be offered at no cost by Medical Doctors, Dentists, Ophthalmologists, Optometrists, Nurses, Medical Technicians, and dedicated volunteers. 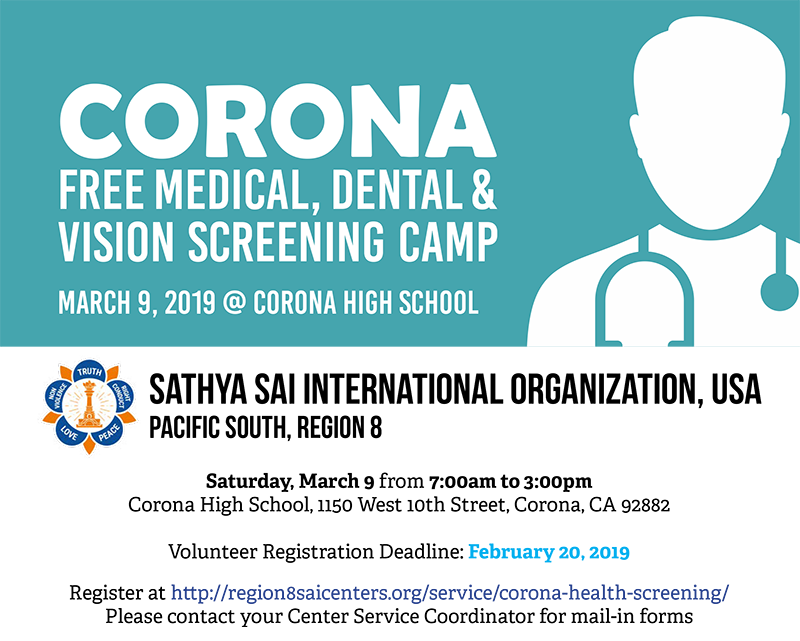 You can download the Corona 2019 Health Screening Event flyer to pass on to friends and family that may be interested in volunteering at this event.